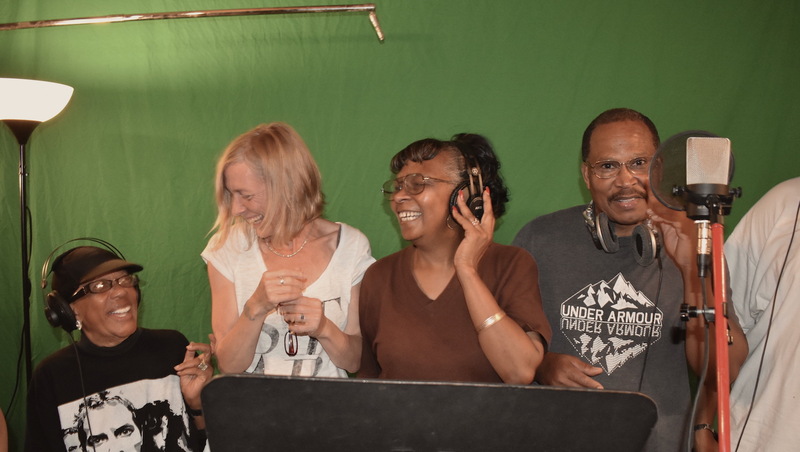 Click the audio player above to listen to this collaborative song written by prisoners who participated in the song writing course offered by Kathy Ziegler. "About a year and a half ago I came across a beautiful animation film on the internet – “Moth and Light” created by Treacy Ziegler with help from her son Jack. Treacy is a visual artist who shares my last name but no relation that we know of. Anyway, this short animation was made up of the drawings of 33 inmates many of whom had been in solitary confinement for years. I was very moved by the simple beauty of their artwork, but also this inner strength that I sensed. What makes someone who lives in such dire conditions want to create? Where does this will come from which overpowers all pressure to “give up” completely. I wanted to get involved, to reach more souls and offer this kind of avenue to stay connected. I contacted Treacy who told me her project was done in affiliation with Prisoner Express out of Ithaca, NY. She came up with the idea of offering a songwriting course which I agreed to. I was a bit nervous as it felt like a huge responsibility and something I had never done before. I wanted to do my best for anybody who reached out for what I could offer. Of course, with music, there is a double challenge since listening/ hearing is such a big part of communicating musically. Somehow I needed to communicate through typewritten words only. That’s how this idea for a group project began. Here’s how it worked. I wrote a chorus and some chord progressions, had a basic idea of how this particular song would sound, but then left the verses open. I asked for lyric submissions based on a very stark description of the song/ rhythm/ and gave them the words to the chorus. You can see more about this group project in the songwriting course itself, linked below. Anyway, my goal was really just to offer a finished song so that people could let family members hear something they had participated in. I had no idea how I would make it work, but I knew that it could work. I received so many beautiful letters. This part was just unexpected. So much love, grace, generous encouragement, and genuine gratefulness. This has impacted me in ways I am still processing. I have been able to communicate with strangers in such a way that just seeps trust…..there is nothing but positive energy being exchanged and that is so rare in this modern fear-based world that we inhabit. I am thrilled, yet also overwhelmed as I know that these connections are fleeting and that positivity is hard to maintain. I know that as one person I can’t hold these vibrations up, but I am absolutely motivated to try. I care. I see a system which does little to serve or better society. I feel that we need to see the best in every human being and do what we can to squeeze that best out, but I fear that the American prison system is more apt to highlight and nurture the darker aspects of human nature. We have 5 million people sitting behind bars. How powerful would that be if all of that human potential was lifted up? If incarcerated individuals could find ways to make meaningful lives and support the communities from which they came? One step at a time. 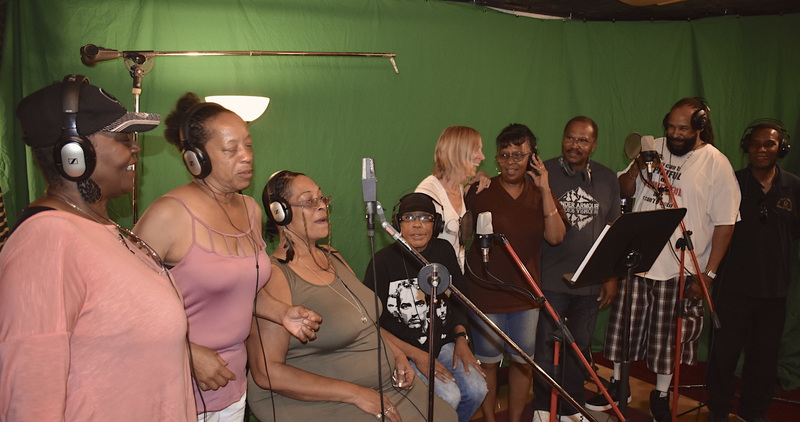 I hope in any event that our group song will reach and inspire some needy souls, that those who participated can feel a bit of pride from having made the effort, and that all can see how it is possible to set a common goal and create a bigger outcome when we do it together. I am looking forward to more projects and hopefully gaining some insight into how to get more music programs into prisons. *Kathy Ziegler is an American multi-instrumentalist, songwriter, and recording artist currently living in Haarlem, The Netherlands with her two children. Any questions, feedback, ideas, and thoughts?